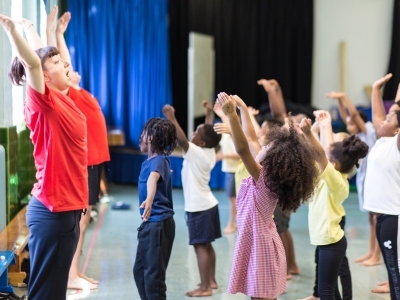 Following the success of our ‘Dancers in Residence’ project with William Patten Primary School in January 2018 we were thrilled to be approached by London Fields Primary School to work together and collaborate on another wonderful and wonderfully ambitious whole school project. This project was led by New Adventures dance artists Gavin Eden and Shelby Williams. 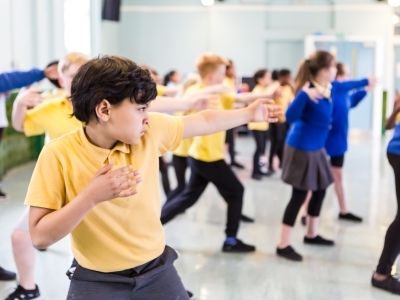 They worked with 480 pupils at London Fields from Nursery right up to Year 6 over a six week period to create a brand new dance piece. 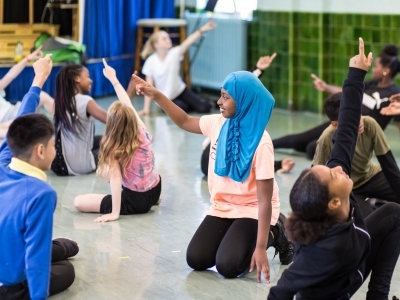 Devised especially for the school the piece is inspired by the West African and Caribbean Folklore of the Anansi stories. 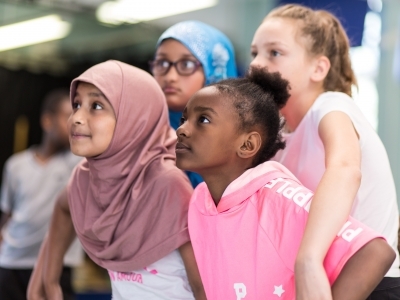 The project culminated in a performance at Hackney Empire in July 2018 to over 1000 people, who were an invited audience of family, friends and guests with each class performing a section of the story!